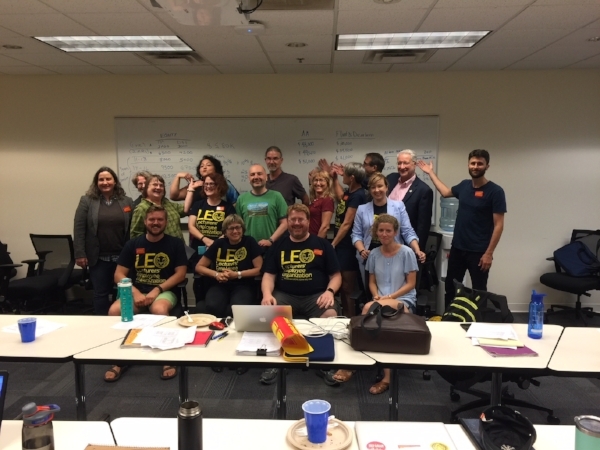 Dear Lecturers, On June 21st and 22nd, the LEO Bargaining Team reached agreement with the university administration after eight months of contract negotiations. The Union Council has unanimously voted to send this agreement to the membership for ratification. As stated in the Elections Committee notification that was emailed last week, the online ratification vote will be open from July 11th at 9am to July 13th at 5pm. The email with the ballot link will include a contract highlights sheet and the full text of the new contract language. We believe that we have won historic gains in these negotiations, including significant salary increases, improved benefits, and stronger protections for Lecturer job security. So that members have ample time to review the changes in our contract, we are sending the summary of the LEO 2017-18 Bargaining Gains now. You can also find the full draft text of the contract by following this link. You must be a member of your union to participate in the vote. If you are not a member, but want to receive a ballot by July 11, you can fill out a membership card here. The LEO Bargaining Team strongly endorses this agreement and believes it is the best possible contract for the membership.